The article dated 20 July 2018 appearing in the New York Times under the caption “The $20 Billion Question for Guyana” has generated quite a reaction locally for its portrayal of what most Guyanese would consider an unfair assessment of the state of affairs of Guyana and of its peoples. It was written by Clifford Krauss, national energy business correspondent based in Texas, USA. Mr. Krauss visited Guyana, held an interview with ExxonMobil and was afforded a tour of the oil company’s operations here. 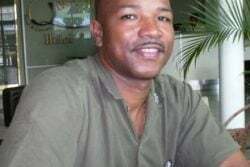 The U.S. oil giant, however, denied that it funded his trip; distanced itself from the observations of the reporter; and asserted that “Guyana is a beautiful place, with beautiful people”. Several persons have commented publicly on the operations of ExxonMobil in Guyana, most notably being Mr. Christopher Ram. Others include Ms. Melinda Janki, Mr. Charles Ramson Jr., Ms. Annette Arjoon-Martins and this columnist. Ms. Arjoon-Martins raised the concern about possible oil spillage which was given cursory treatment in the article, compared with the explanations provided by Exxon. Apart from Ms. Arjoon-Martins, there was no evidence that Mr. Krauss contacted the other persons mentioned above to enable him to obtain a more balanced perspective about of ExxonMobil operations here. There was no mention of the low royalty of two percent on gross revenue that Guyana will be receiving when production begins in 2020, compared with what other oil producing countries are getting. According to the IMF report of November 2017, entitled “Guyana: A Reform Agenda for Petroleum Taxation and Revenue Management”, this rate appears to be well below what is observed internationally where the rates vary from eight percent to 20 percent. In Trinidad and Tobago, the royalty rates are between ten percent and 12 percent while for the United States, the rate is 16.6 percent. Colombia’s royalty rates are between eight percent and 25 percent while for Brazil and Peru, the rates are ten percent and five to 20 percent respectively. Mr. Krauss failed to mention the pittance of US$18 million in signature bonus that Exxon gave to Guyana when one compares this amount with a grant of US$10 million given to Conservation International. Nor did he make any reference to the invoice of US$460 million handed to the Government representing pre-contract costs, and the mindboggling fiscal concessions that Exxon receives, among others. In addition, there was also no mention of the above-mentioned IMF report in which it was stated that the agreement with ExxonMobil is weighted generously in favour of the U.S. oil giant, especially as regards the rate of royalty, ‘ring-fencing’ of costs, taxation, and profit-sharing; and that there are too many loopholes in the agreement, which if not plugged, could result in Guyana losing significant amounts of revenue. Further, there was no mention of the profit-sharing arrangement (as opposed to revenue-sharing) which several countries found themselves on the losing end of because of the difficulty in verifying costs. The feeling is that by virtue of Exxon’s superior positional bargaining position vis-à-vis our desire to be protected from an aggressive and combative western neighbour in our border controversy, we found ourselves in a helpless position and were forced to accept what really turns out to be a really bad deal. Despite all of this, the article was all in praise of Exxon. Mr. Krauss was quick to refer to the agreement with Exxon being made available to the public. However, he ought to have been aware that the Authorities here had stubbornly refused to do so, citing confidentiality clauses in the agreement. It was only after the release of the above-mentioned IMF report which urged release of the agreement, that the Authorities chose to do so. Regrettably, Mr. Krauss’s article painted a sorrowful and depressing picture about Guyana and gave the impression that Exxon is the saviour and the hope to Guyana’s economic and social problems. As the Stabroek News editorial of 27 July 2018 quite aptly put it: ‘[I]t seems quite clear that the author has painted ExxonMobil as the proverbial knight in shining armour about to rescue that distressingly dismal, dusky damsel as he has painted Guyana’. Here are nine observations made by Mr. Krauss which this column considers to be deserving of some commentary. 1. Guyana is a vast, watery wilderness with only three paved highways. There are a few dirt roads between villages that sit on stilts along rivers snaking through the rain forest. Children in remote areas go to school in dugout canoes and play naked in the muggy heat. While we are the land of many waters, it is certainly not a “watery wilderness”. We have beautiful rivers and waterways, not to mention the 741 feet perpendicular drop of the majestic Kaieteur Falls. Guyana is part of the Amazon Basin considered part of the ‘lungs of the earth’ that helps to mop up the pollution of the environment, caused mainly by industrial activities. Our rainforests absorb the carbon dioxide from the atmosphere and replace it with oxygen on which both plants and animals need in order to survive. Our country is the second largest in the world in terms of forest cover which stands at 85 percent and our gross deforestation rate in 2014 was 0.065 percent. This is one of the lowest in the world and well within the range set by the Guyana-Norway REDD+ Partnership. In 1989, the Hoyte Administration had made available to the International Community 371,000 hectares (917,000 acres) for research into “methods and techniques for the sustainable management and utilization of the multiple resources of the tropical forest and the conservation of biodiversity.” This area is one of the “four last pristine tropical forests in the world”, the others being the Congo, New Guinea and the Amazon rainforest. Seven years later, the Iwokrama International Centre for Rainforest Conservation and Development was established by Act No, 7 of 1996 under a joint mandate between the Government of Guyana and the Commonwealth Secretariat to manage the project “in a manner that will lead to lasting ecological, economic and social benefits to the people of Guyana and to the world in general”. And at the 2016 Conference of Parties to the United Nations Framework on Combatting Climate Change held in New York, President Granger announced that two million hectares of Guyana’s forests will be placed under conservation as its contribution to combatting climate change and global warming. Contrast the above with what prevails in the United States of which Mr. Krauss is a citizen. The United States is the second largest polluter in the world at 17.89 percent of global emissions of greenhouse gases. It has withdrawn from the 2016 Paris Accord on Climate Change, claiming climate change as a hoax perpetrated by China and that the U.S. economy would be adversely affected. The Paris Accord was entered into in 2016 by 195 countries to curb planet-harming fossil fuel. Its aim is to strengthen the global response to the threat of climate change by keeping a global temperature rise this century to well below two degrees Celsius above pre-industrial levels and to pursue efforts to limit the temperature increase even further to 1.5 degrees Celsius. The United States has also withdrawn from the Extractive Industries Transparency Initiative (EITI) on the grounds that domestic implementation of the EITI Standard will conflict with the U.S. legal framework. EITI, of which Guyana is a candidate member, is an international watchdog body devoted to ensuring good governance of the oil, gas and mineral resources. Following intense lobbying by its major oil companies, the United States has also repealed the Securities and Exchange Commission rule requiring oil, gas and mining companies to publish the payments they make to governments. It is far from the truth that we have only three paved highways. There are highways on the Essequibo Coast, West Coast Demerara, West Bank Demerara, East Coast Demerara, East Bank Demerara, Soesdyke-Linden Highway, West Coast Berbice, and the Corentyne. Currently, work is being undertaken on the construction of a road linking Linden to Lethem, the border town with Brazil. While it is true that children in the Indigenous Peoples communities go to school in dugout canoes, what other mode of transportation can there be in remote riverain areas? Is there something wrong with the children of the Indigenous Peoples playing naked in the ‘muggy’ heat? Isn’t that their culture and way of life? Our First Nation peoples are peace-loving, have their own undisturbed way of life, and are at peace with themselves and with nature. They comprise roughly ten percent of our voting population. In the 15th century, the United States had more than ten million Native Americans. According to a 2010 census, that figure was reduced to 5.4 million. An article entitled “Atrocities Against Native Americans” and found at http://endgenocide.org/learn/past-genocides/native-americans/ makes interesting reading. 2. Hugging the coast are musty clapboard towns like Georgetown, the capital, which seems forgotten by time, honeycombed with canals first built by Dutch settlers and African slaves. 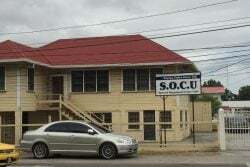 The article did no justice to the Authorities’ herculean efforts to restore Georgetown to its former title of the “garden city of the Caribbean”. All the major streets have been rehabilitated, and prolonged flooding in the city is less of an occurrence. We have some of the most beautiful buildings in Georgetown and on the coast made of concrete and not ‘clapboard’. And what is wrong with wooden structures, considering that Guyana is a major producer of lumber. Our greenheart, because of its durability and resistance to water, is used all over the world for making ships, wharves, bridges and the like. Perhaps, Mr. Klauss was referring to the Georgetown City Hall and the St. George’s Cathedral, both of which are scheduled for major rehabilitation works. Having said that, Georgetown has become a very congested city. The streets are overflowing with vehicles which create a traffic nightmare. The situation is exacerbated when Parliament is in session, as was witnessed last Friday when the main parts of the city were at a virtual standstill because the area was cordoned off, leaving motorists and passengers caught in the traffic for the greater portion of an hour. Imagine the extent of the loss of productivity just to facilitate 65 legislators attending sessions of the National Assembly, not to mention the severe inconvenience to citizens. 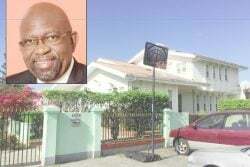 The time has come for consideration to be given for the relocation of the country’s capital further inland, considering that Georgetown is below sea level. It just a matter of time that our efforts to hold back the sea will prove futile, given developments on the climate change front.